This entry was posted in Event Report, Vintage on July 31, 2017 by admin. Top class drivers were out in force at the Keitune Racing Speedway on a hot July weekend, ready to do battle in the 2017 JMRCA All Japan Championship 1/10 touring car races. No less than 65 racers took part in the event, which featured Super Expert and Open classes. 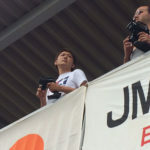 Tamiya Racing Factory (TRF) driver Takayuki Kono was in attendance, welcoming the chance to put the freshly-announced TB Evo.7 chassis through its paces against some of the best drivers out there. 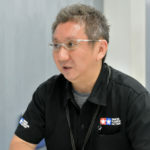 Also present was TRF member Kiyokazu Suzuki, ready to dispense advice and answer questions from Tamiya fans and drivers. This was the official racing debut for the TB Evo.7, and while Kono largely used the pre-race test runs to compare the TB Evo.7’s different motor positions, when the race came he was on the pace with his competitors, qualifying in 10th for the Open class A Main. Starting from the back of the A Main field was always going to be a challenge, but Kono proved the shaft-driven TB Evo.7’s capabilities with a sterling drive that saw him mix it with the rest of the grid on his way to an 8th place finish over the 3 final races. Shuma Shinozawa finishing a brilliant 2nd with his TRF419X. TRF looks forward to continuing to support R/C drivers and the industry through its activities. This entry was posted in Event Report on July 28, 2017 by admin. This entry was posted in Future Releases on July 25, 2017 by admin. 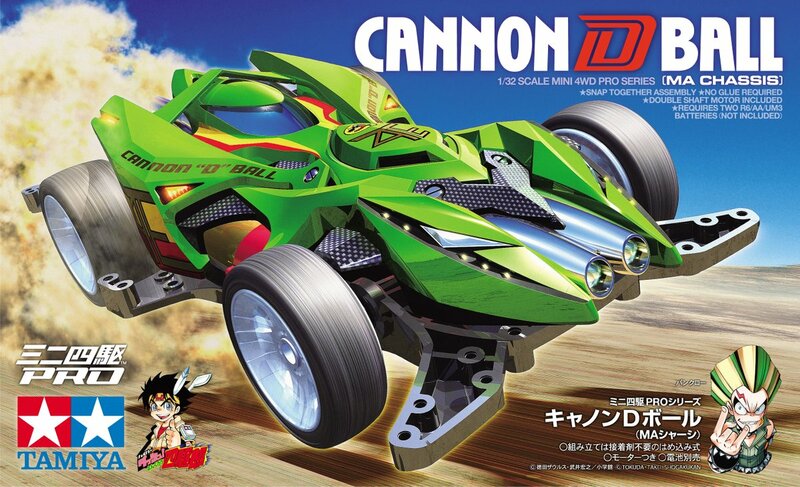 “Cannon D Ball” appearing in mini 4WD comic “Hyper Dash! Yonkuro” by manga artist Hiroyuki Takei, who is serializing at Shogakukan “CoroCoro Aniki”, finally commercialized! Release in Japan planned for October. This entry was posted in Future Releases on July 24, 2017 by admin. This entry was posted in Customized Builds, Event Report on July 24, 2017 by admin. 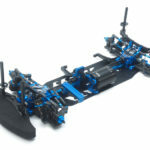 ・This is an R/C 1/10 scale shaft-driven 4WD chassis assembly kit. Length: 371mm, Width: 185mm, Wheelbase: 258mm. 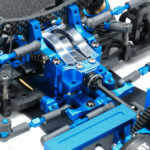 ・The chassis is based around a 2mm thick aluminum lower deck and 6mm thick center stiffener, which give a blend of rigid pitch damping and flexible roll. The number of screws used to attach the stiffener can be changed to alter chassis rigidity. ・The lack of an upper deck lowers the chassis’ center of gravity. 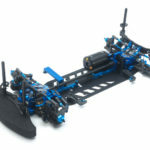 ・A largely overhauled layout includes updated motor positions and bulkhead design. ・The motor is longitudinally mounted. Users can choose from 3 layouts (front; mid; rear) to adjust performance depending upon conditions and driving style. ・Comes with TRF super short big bore dampers. ・Motor clearance can be adjusted simply from above, for quick in-pit tweaks. ・Steering linkage components are installed directly onto the bulkhead as opposed to being attached to the chassis. This removes any effect upon chassis roll. ・Highly-efficient shaft-driven 4WD is achieved with a front direct coupling and WO universal shafts, plus a rear gear differential unit and aluminum drive shafts. ・Proven TRF418 suspension arms and TRF419 rear uprights are employed. This entry was posted in Future Releases on July 21, 2017 by admin. What kind of image will come to mind when listening to Tokyo · Shimbashi? Shiodome city center of a skyscraper office building, New Shinbashi building which leaves the scent of Showa …… It is the city of business, a town of a businessman, whether facing to the left or facing left. 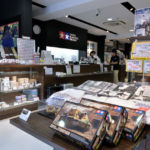 “Tamiya Plastic Model Factory Shimbashi Store” a few minutes walk from Shimbashi Station is a calm and stylish shop facing the red brick street with little traffic volume. The first floor is a plastic model, the ground floor is an RC car and a mini 4WD, and the second floor is a multipurpose event space. I think that there are many middle-aged and elderly people in the customer base, and I also see the elementary school students who were taken by their mothers. Anyway, why is there a model shop in Shimbashi? 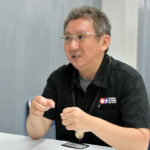 I talked to the store manager Mr. Hidemiya Takamichi. ── Is “Tamiya Plastic Model Factory Shimbashi Store” directly owned by Tamiya? 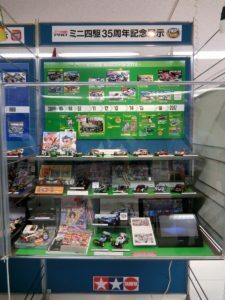 Takamichi　is not it, it is not directly owned store, it is operated by a subsidiary of Tamiya. As a Tamiya employee, I am on a side trip to our shop. “Tamiya Plastic Model Factory Torresa Yokohama Store” also operates with another merchant who borrowed a shop name from our shop. Of course, we exchanged information with each other, and we cooperated and boosted the shop. ── Who decided to bring out a model specialty shop to Shimbashi? Takamichi　It is president Masayuki Tamiya who passed away in May this year. 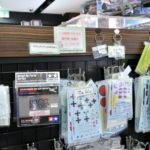 I also worked at some model shops, but when I heard that Shinbashi will bring a shop, I was surprised as “What? After all, it was because there was an image of a town office worker. 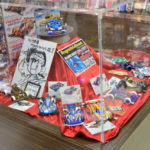 However, president Masaaki intends that “It is meaningless to have an antenna shop at a place where Tamiya is recognized, where model culture is already rooted”. Tamiya is reminded of those who used to make a model of Tamiya once again. Or, I have heard the name of Tamiya, but I would like to approach those who do not recognize clearly. That was the concept. On the opening day the first day, I immediately understood the intention of the president. The customer who entered said “Wow, nostalgic!” It was a word I heard for the first time when I worked at a model shop. Because those who come to model shops are those who are making models as they are progressing and will come to the store with the aim of “I came to buy ○ ○ today.” However, those who came on our open day say “Nostalgic”. Masayuki Shimbun’s aim was “Shimbashi was the place where you can catch the model’s return group again,” again. ── Interior of the store is also chic for adults. ── The customers who said “nostalgic” after entering the store were those who used to make plastic models, right? Takamichi　That’s right. 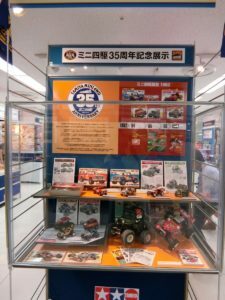 The product groups of Tamiya were divided tightly according to age, mini 4WD is around the late 20s and 30s. RC (radio control) car from 30’s to the mid-40’s mid-range. People in their 40s ~ 70s and 80s are those who are making scale kits and plastic models. What you say when you come to the Shimbashi store is “old-fashioned”, it is a 30 to 70 generation. 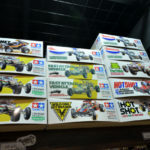 Another factor that derives the word “nostalgic” is that the Tamiya product at that time is still being sold in active service. There are subtle mold modifications and prices are going up a little, but box art at the time (box painting) remains as it is sold as the current product. “I could not buy it in the past but now I can buy it if I have a bit of drinking” – It may not be the location of Shimbashi that I notice it. “Mother’s understanding” will change the model environment? 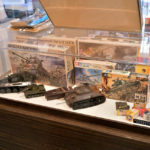 ── I want to narrow down the story to the plastic model, but are the scale models such as tanks, fighter planes, ships, cars and motorbikes sold now? Takamichi　Yes, it is on sale. There was a time when it was said that “Scale models can not be sold” for a while, but in fact the scale model has few “waves”. There is no “mountain” that it started to sell at a stretch, but there is no “valley” that sales have dropped sharply. It has been gradually rising for the last ten years. ── Does the same person keep on making it all the time? Takamichi　Scale model has a strong tendency, but the direction of the wind has changed slightly in the past 3 years. That’s because the young generation is returning to the scale model. 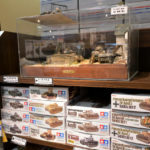 When I listen to the students who come to the shop in uniform shape, I am interested in the scale model as a character object through animation such as “Girls & Panzer”. ── The influence of “Girls & Panzer” is still strong. Takamichi　Yes, it is very strong. “Girls & Panzer” does not mean that the tank deforms to become a robot. 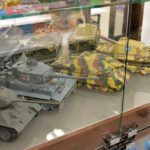 The setting is not real but it seems to be a secret of popularity, maintaining the shape of a real tank as it is boring. Regarding the scale model, though it is the main 40 to 70 generations, it gradually gets permeated to the younger generation gradually. 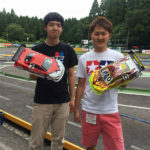 ── Regarding Mini 4WD, we are organizing events for people over the age of 18 from 19:30 on weekdays. Takamichi It　is, so to speak, it is “a place of club activities” where people going to the company can play before drinking. 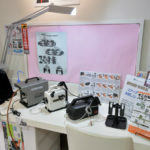 There is also a mini 4WD event on Saturdays and Sundays, but from a salaried worker, some people say “I do not want to appear on Shinbashi until Saturday and Sunday” (laugh). It is popular enough to wait for cancellation, so we plan to increase the number of events for Mini 4WD on weekdays night. 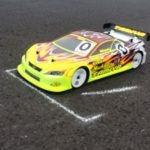 Takamichi The RC car is very exciting. It may seem surprising, but girls often play with their fathers on RC cars. ── Does the girl play with the RC car? Takamichi　Yeah, girls in elementary school age are very good at controlling the RC car. Even in the plastic model, women can paint well, do not they? The shimbashi store actually has many female visitors. To that background, Sho Kurono of Visual Band · Golden Bomber actively wears Tamiya ‘s T – shirt and the recognition has spread to the women’ s group. Johnny ‘s male idols also seem to be talking about on radio, etc, with many people of Mini 4WD and RC car generation. ── The idea of ​​”a model is a man’s hobby” is getting old. 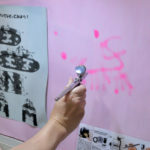 Takamichi　Lady comes, it will be gorgeous, the image will also be good, and as our shop is a welcome. 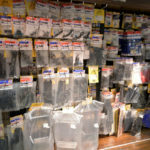 ── Do you have all the tools and materials released from Tamiya at the store? Takamichi　Yes, Tamiya products are all 6000 items, all gathered. Besides that, we are selling repair parts as customer parts. 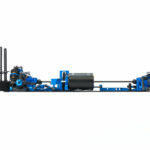 Originally it is a part that customers have to order individually, but if our shop, we can buy it without waiting. Plastic model, mini 4WD, RC car, not all say, but since you are ordering fragile parts in advance, you can buy it on the way home from the company. Besides that, air brush parts etc are prepared. 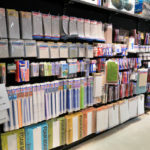 ── Do you sell decals for plastic models as well? Takamichi　Yes, the decal is a selling item product. Military fans who want a mark of another unit that can not be reproduced by the decal that is included in the kit will be bought. ── Are there any requests from customers? Takamichi　Yes, we have received a lot of requests. 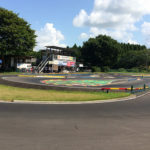 For example, I want a permanent circuit for the RC car, I want a workshop that can make a plastic model, I want you to drink alcohol here (laugh). ── It is a unique request of a place called Shinbashi (laugh). Takamichi　”You want a space to drink while looking at the finished product of the plastic model,” you seriously told me. There seems to be a mini 4WD bar in the vicinity of Kanto, but the plastic model is probably less. Finishing the work, doing a drink with a group, it is a dream time for model fans to talk about various things in front of a plastic model. Even if it is an impossible task, you are enjoying it as a place to tell a dream. 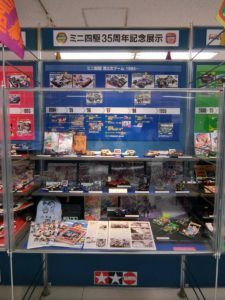 This entry was posted in Media, Tamiya Company on July 20, 2017 by admin. This entry was posted in Customized Builds, Media on July 18, 2017 by admin. Tamiya is delighted to announce the 3rd running of this exciting Mini 4WD event, held on July 22nd and 23rd in Indonesia and which will crown the top racers in Asia! This entry was posted in Event Report on July 18, 2017 by admin. 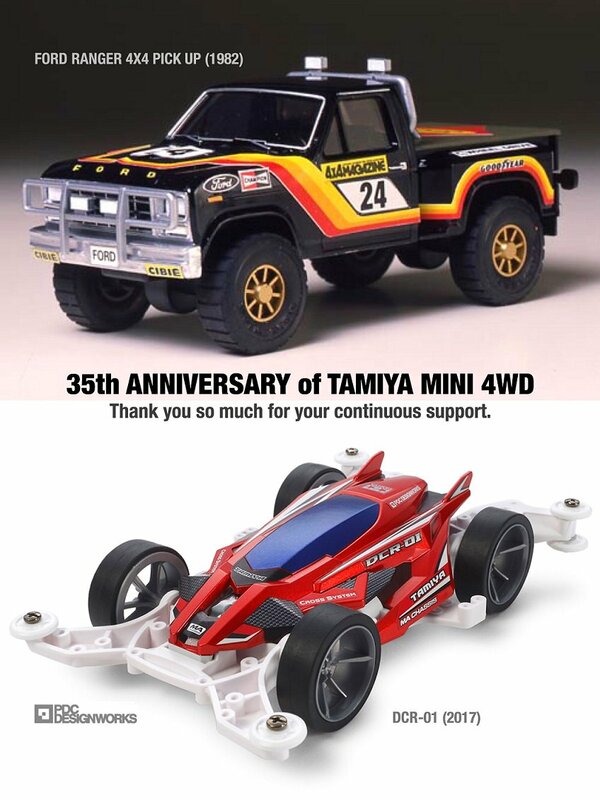 Tamiya Mini 4WD 35th Anniversary – Keep on Running! On July 13, 1982, the first series of “Ford · Ringer Jar 4×4” was shipped from Tamiya for the first time. Thank you for enjoying the mini 4WD for a long time. Thank you very much in the future. Keep on Running! 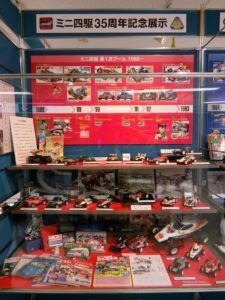 This entry was posted in Event Report, Tamiya Company, Vintage on July 17, 2017 by admin.